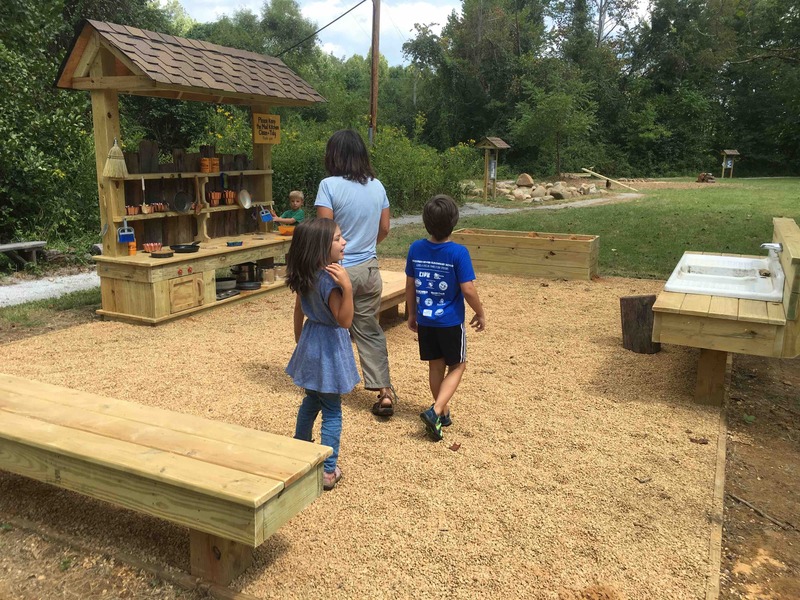 You are here: Home » News » Nellysford : Children’s Nature Trail Officially Open! Nellysford : Children’s Nature Trail Officially Open! A few days ago we told you about the forthcoming opening of the Children’s Nature Trail behind the Natural History Center at Spruce Creek Park. The trail was part of a project coordinated by The Rockfish Valley Foundation. 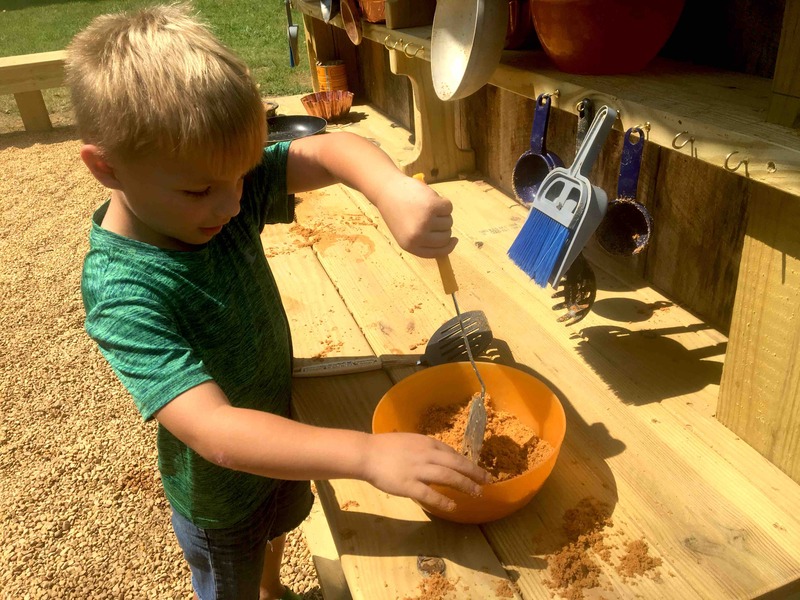 BRL Publisher Yvette Stafford and Junior Publishers Peyton & Adam Stafford check out what Jace is making in the Mud Kitchen at the Children’s Nature Trail this past Labor Day 2017 near Nellysford, Virginia. 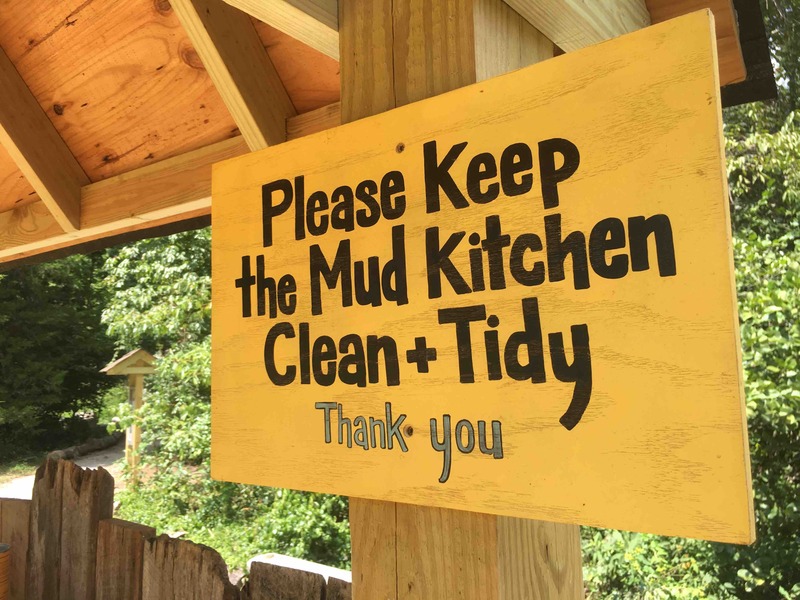 Just remember, when making mud pies, clean up! The nature trail includes many natural exhibits along the path that circles the property. 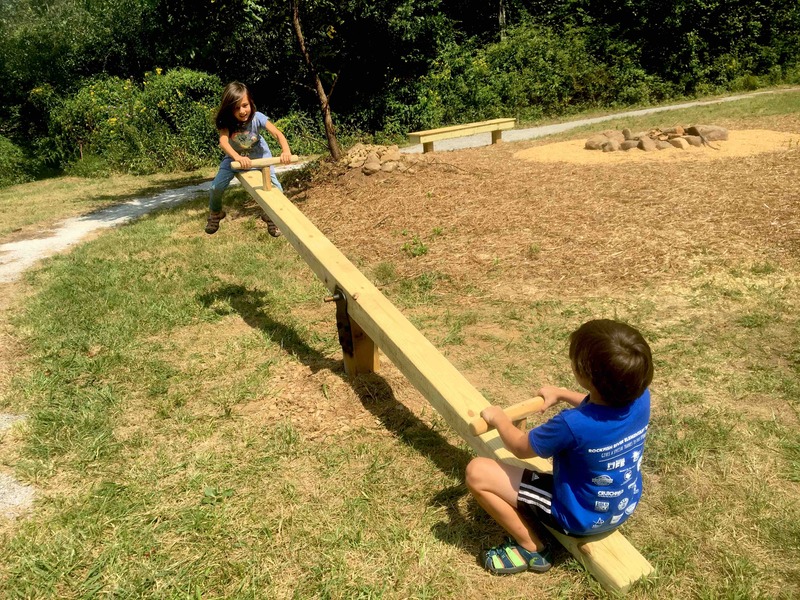 Junior & Juniorette Publishers Adam & Peyton Stafford try out the new seesaw at the Children’s Nature Trail just south of Nellysford, Virginia – September 4, 2017. For complete details on the new trail click here to learn more!